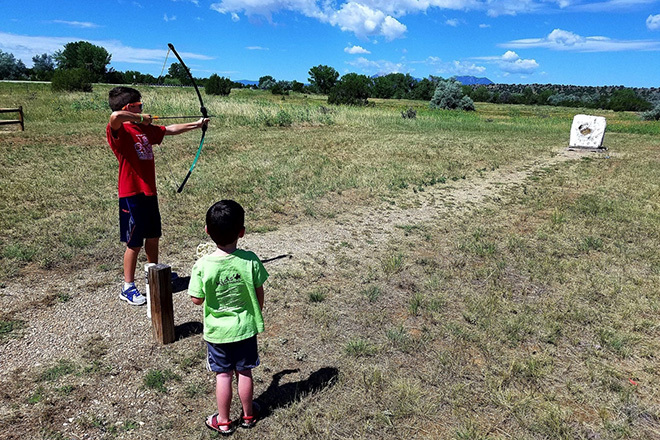 If you ever wanted to learn how to shoot a bow and arrow, your chance is coming as Colorado Parks and Wildlife hosts a free archery clinic for all ages August 17. CPW officers will provide the equipment and expertise, at the session scheduled 9:00 a.m. to 1:00 p.m., Friday, August 17. This event will be held at the agency Work Station in Buena Vista, at the corner of U.S. Highway 24 and DePaul Street on the south side of Buena Vista. Kevin Madler, CPW District Wildlife Manager, said the public is invited. All equipment will be provided and no reservations are necessary. He said officers are happy to have all ages and skill levels at the event. Participants will have the opportunity to shoot at traditional targets as well as three-dimensional decoy-type targets. For more information, call Madler at the CPW Work Station at 719-539-8413.